Whether you love or hate this clock, we can all agree it adds a different element to tell the time. Magnets are employed to let the two balls float on the water’s surface, giving a magical sense of movement. The red ball shows the hours, the white one the minutes. Add an extra receptacle on top of the ceramic base for a more vertical display. 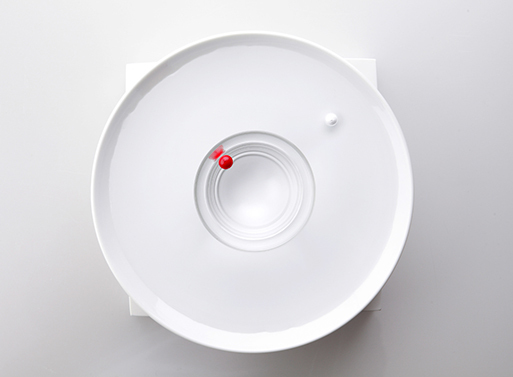 Material – Ceramic, Polypropylene, Magnets.